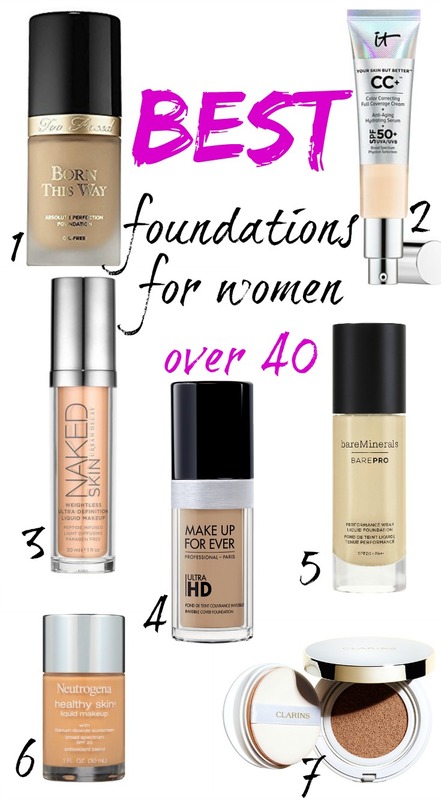 BEST FOUNDATIONS FOR WOMEN OVER 40! 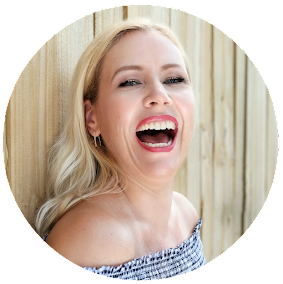 Today I have the best foundations for women over 40 for you! 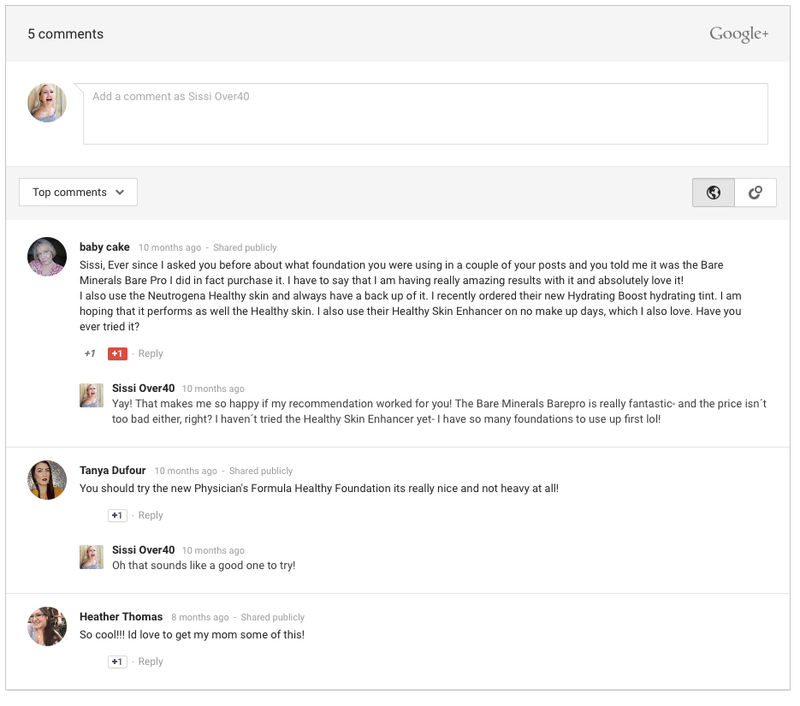 And why do women over 40 need a different foundation? Because we don´t want to enhance our "experience lines", don´t want the skin to look dry or even cakey. From my experience I find that a full coverage foundation will look in most cases too much and make you look older, so I stick usually to a light to medium coverage. NEW! Watch this also on YouTube! This is an oil-free foundation that really looks undetectable, you can't see the makeup and you can't see imperfections and it also contains hyaluronic acid for a smoother, more youthful appearance. All that's left is naturally beautiful skin that looks like you were "Born This Way". ;-) I absolutely love it! It truly gives you full, flawless, perfect coverage and also protects your skin with SPF 50 UVA/UVB. It is also infused with hydrolyzed collagen, peptides, niacin, hyaluronic acid, antioxidants and vitamins A, B, C and E to diffuse the look of wrinkles, enhance skin brightness, minimize pores and give you a more radiant, supple and flawless-looking complexion. My favorite "every day" foundation since many years! My skin looks natural and bright with a demi-matte finish. I find it helps to reduce the appearance of fine lines and wrinkles, blurring imperfections for a beautiful natural looking skin. This foundation is zero percent noticeable! The lightweight fluid has a weightless, second-skin feel that makes it comfortable to wear, while also long-lasting. It keeps your skin hydrated and nourished for a supremely healthy, fresh face. No wonder this is a staple of many makeup artists for their bridal makeup! Just one pump delivers lightweight, oil-free, photo-friendly full-coverage. Natural Bamboo Stem Extract provides a smooth, soft focus finish, while Papaya Enzymes gently improve skin's texture both immediately and over time. It looks beautiful and is cheaper than most of my other faves! My most affordable favorite provides a silky-light coverage that glides on for a perfectly natural look. I love the thin consistency that spreads super easy! It also contains an SPF 20! This moisture- rich, long-wearing cushion foundation gives a glowy, flawless finish but allows skin to breathe while instantly concealing imperfections and also contains an amazing SPF 50. Looks super natural while providing amazing coverage! So, there you have it: all my favorite foundations for my over 40 year old skin! Have another favorite to share? Tell me! I wanna know! Disclaimer: Contains Affiliate links. Read my full disclosure.